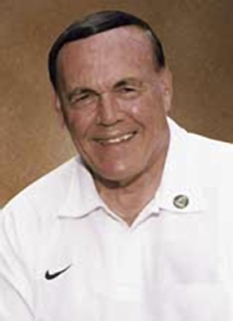 Former basketball coach and NFL quarterback, Gene Keady was born on May 21, 1936. Keadyt is currently a basketball analyst for the Big Ten Network. 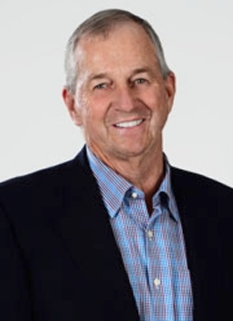 He is most notable for being the head basketball coach at Purdue University for 25 years, from 1980-2005. Keady attended Garden City (Kansas) Junior College, where he was a four-sport star, including an All-American as a football quarterback. He then went on to Kansas State, where he played baseball, football and ran track while earning a bachelor's degree in biological sciences and physical education. 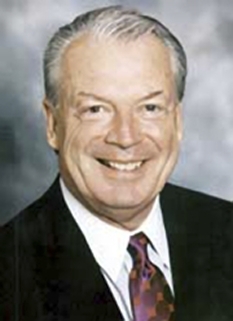 He played briefly for the Pittsburgh Steelers in 1958 before joining the coaching ranks at Beloit High. 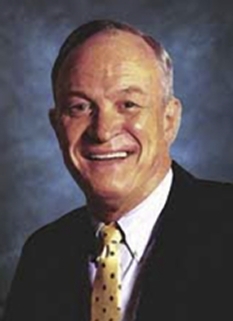 Keady earned his master's degree in education from Kansas State in 1964. 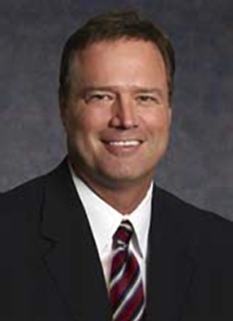 He is enshrined in the National Junior College Basketball Hall of Fame as a player and coach, and in the Kansas Hall of Fame as a coach. Gene Keady became the Purdue Boilermakers men's basketball head coach on April 11, 1980. Keady became the second winningest coach in Big Ten Conference history and winningest coach in school history with 265 victories, only behind former rival, Bob Knight, and was the Big Ten Coach of the Year seven times. He was also National Coach of the Year six times in a sixteen year timescale from 1984 to 2000. However, Keady was never able to win an NCAA championship in his career despite his success, nor reach a Final Four with Purdue. Keady hired former Purdue guard, Matt Painter (1989-1993), as his associate head coach for the 2004-2005 season. He was selected to take over the head coaching position. Keady retired from coaching Purdue following the 2004-2005 season after leading Purdue to 18 NCAA Tournamnent appearances. He took the Boilermakers to two Elite Eight appearances and five total Sweet 16 appearances. His total NCAA tournament postseason record is 20-19. He led Purdue to five NIT appearances with a record of 12-5 and a second and third place finish. Mackey Arena's basketball court was named "Keady Court" in dedication to him. While often overshadowed by Bobby Knight at Indiana University, Gene Keady holds a winning record against Knight. A member and former president of the National Association of Basketball Coaches (NABC), Keady is one of the leading spokesmen on issues surrounding college basketball. Keady gives back to the game of basketball whenever he has a chance. He is very accommodating to the news media, performs charity work and makes numerous speaking appearances throughout the year. Keady also is a prominent figure in United States basketball. 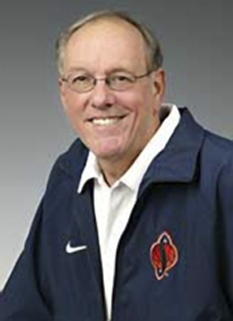 Most recently, he was a member of Rudy Tomjanovich's coaching staff for the 2000 Olympic Games in Sydney, Australia, helping Team USA to a gold medal. During the 2003-04 season, Gene Keady was named one of 16 finalists for the Basketball Hall of Fame. He also earned his 500th win at Purdue on Jan. 14, with a 53-51 win over No. 18 Wisconsin. Gene Keady became Purdue's all-time winningest coach on Dec. 6, 1997, by defeating Louisville and Hall of Fame coach Denny Crum, 87-69. In 24 years at Purdue, Keady has notched 505 victories. He passed Ward Lambert, who won 371 games with the Boilermakers from 1916 to 1945. In October of 2006 Keady was named the recipient of the 2007 John R. Wooden "Legends of Coaching" award. Keady is the ninth recipient of this award, as it was created in 1999. While coaching at Purdue, Gene was quoted by saying, "Recruiting is a lot like shaving, if you miss a day, you look like a bum." While often overshadowed by Bobby Knight at Indiana University, Keady holds a winning record against Knight. A native of Larned, Kan., Keady and his wife, Patricia, reside in Lafayette. He has three children: Lisa, Beverly and Dan. DISCLAIMER: PFP Sports Talent Agency does not claim to represent itself as the exclusive agent for Gene Keady. PFP Sports Talent Agency is a booking agency that represents organizations seeking to hire pro athletes and sports personalities such as Gene Keady for speaking engagements, personal appearances, product endorsements and corporate entertainment. Fees on this website are estimates and are intended only as a guideline. Exact fees are determined by a number of factors, including the location of event, the talent’s schedule, requested duties and supply and demand. PFP Sports Talent Agency makes no guarantees to the accuracy of information found on this website and does not warrant that any information or representations contained on this website will be accurate or free from errors. We are often asked how can I find out who is Gene Keady's agent? To find Gene Keady appearance fees and booking agent details, you can contact the agent, representative or manager through PFP Sports Talent Agency for speaking fee costs and availability. PFP Sports Talent Agency can help your company choose the ideal sports personality for your next marketing campaign. To hire Gene Keady for an appearance, speaking event or endorsement, contact Gene Keady's booking agent for more information.